The 2012 T&E Expense Management report form Aberdeen Group analyses the top expense management performers and shares characteristics of best-in-class companies. 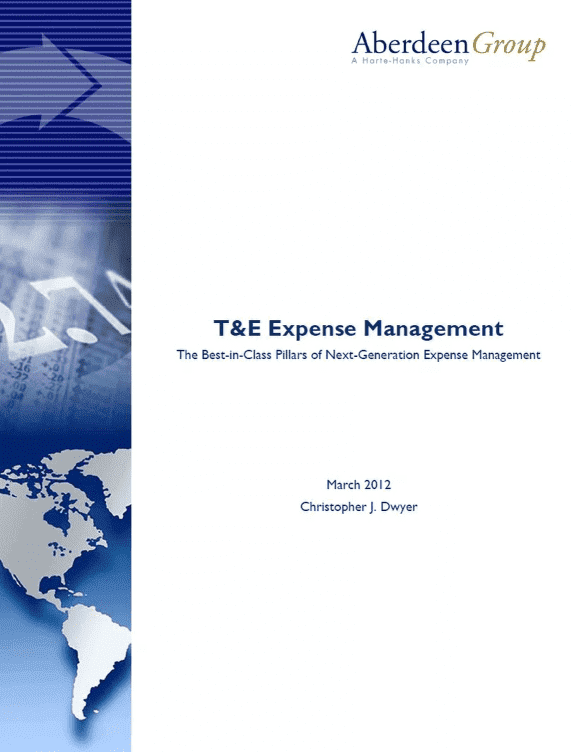 The 2012 T&E Expense Management report form Aberdeen Group gave a comprehensive analysis of the processes, programs and performance of organisations in relation to expense management. Their research showed that 70% of organisations across the globe now saw T&E expense management as a strategic internal function and looks at some of the primary expense management challenges faced. Aberdeen analyse the top expense management performers and share the characteristics and advantages of these best-in-class companies, the key requirements for successful expense management and the path other companies should take to get there.